I’d nearly forgotten what a disaster my recent trip to Bear River Migratory Bird Refuge was until I looked back at the photos I’d taken there. You know the trip is a disaster when the pictures you took between Colorado and the refuge are better than the ones you took at the refuge. 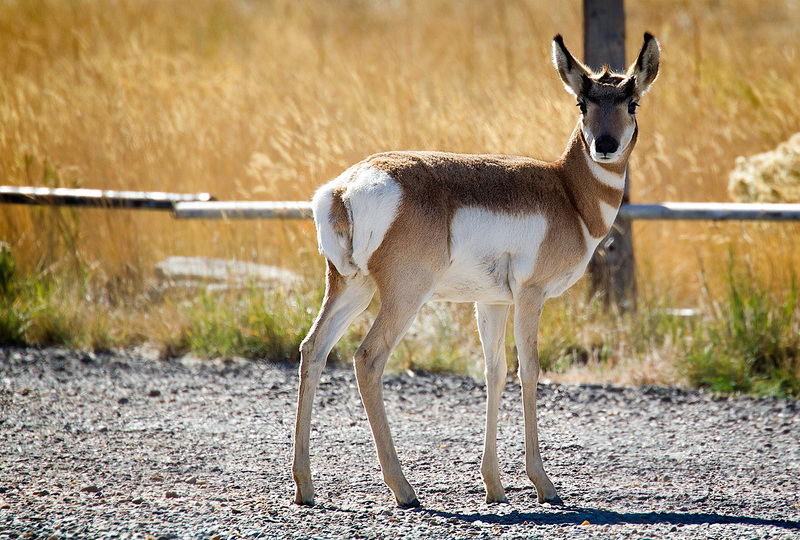 My best shot of the day is probably this one of an antelope I took in the parking lot of a in-the-middle-of-nowhere gas station in Wyoming. I also like this shot of the cliffs you see as you drop down into Utah. I had originally planned on spending two days at Bear River, an early evening visit and an early morning visit. However, I was a little surprised to see how little water there was in the refuge. 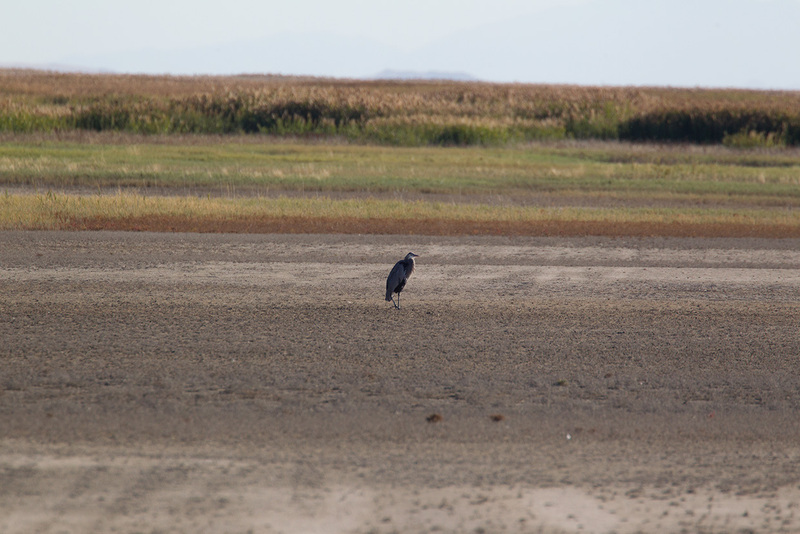 This barren field with its single Great Blue Heron was full of birds, and water, when I’d visited the site in early summer. 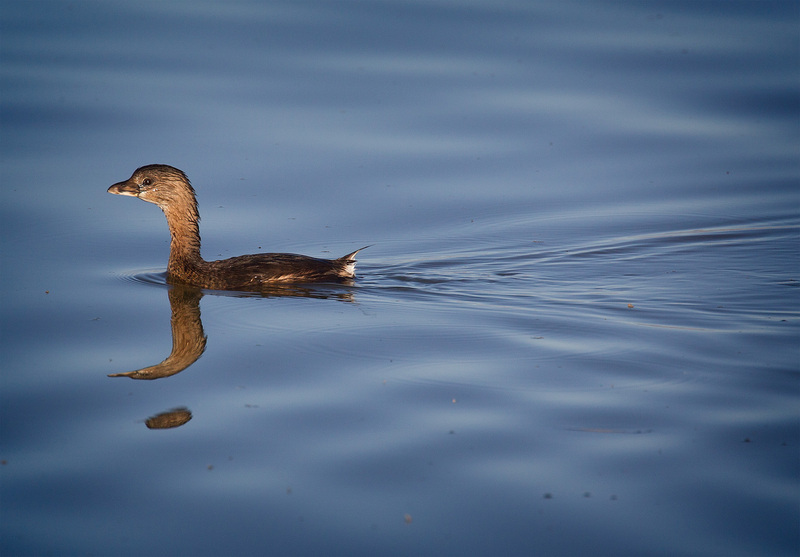 My favorite shot was this one of a Pied Grebe in the golden evening light. and Western Grebes were the most numerous species, but there weren’t many of them. The only saving grace was the beautiful light from the sinking sun. Though the refuge was lacking in birds, it more than made up for that lack in the sheer number of mosquitoes per square foot. I managed to get dozens of mosquito bites despite the use of air conditioning and hurricane-force fans blowing directly at the open window. In fact, I ended up fighting trapped mosquitoes the whole next day. I wondered if I had just been there at the wrong time of day, but after I got home I was reading a Utah blogger whose site I follow, and he managed to get even less birds than I did a few days earlier. “Timing is all” is a common saying among birders, and that was never truer than on this trip. Despite becoming a “go-to destination,” I’ll try to remember to avoid Bear River in October and go another way home. The photos you did get are quite beautiful, as always. 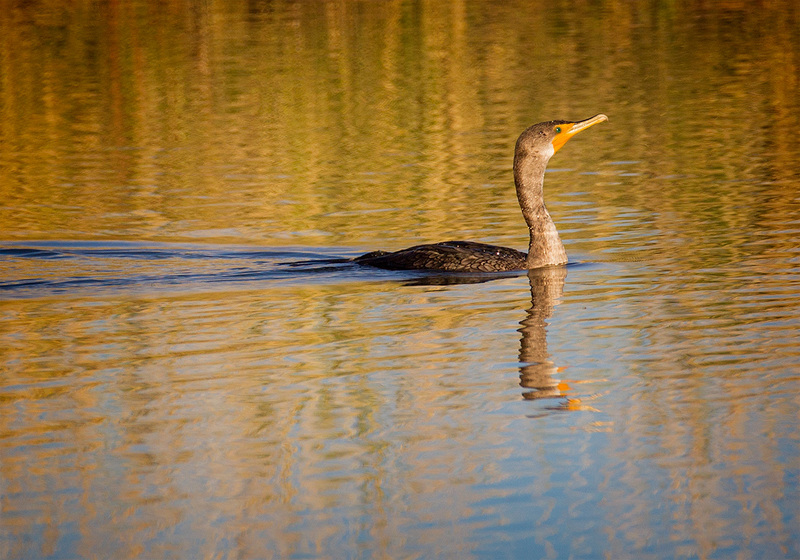 Love the light in the Western Grebe photo. And, that antelope shot is really great.